Las Campanas Observatory, set in the south of Chile’s Atacama Desert is going to be the location for a new giant Magellan telescope. The largest of its kind, it will be the best natural imaging telescope in the world. With two Magellan telescopes already in function at the site, it was announced by the University of Chicago that excavations had begun on the giant telescope, and when fully built by 2024 its imaging will be 10 times sharper than the Hubble Telescope. 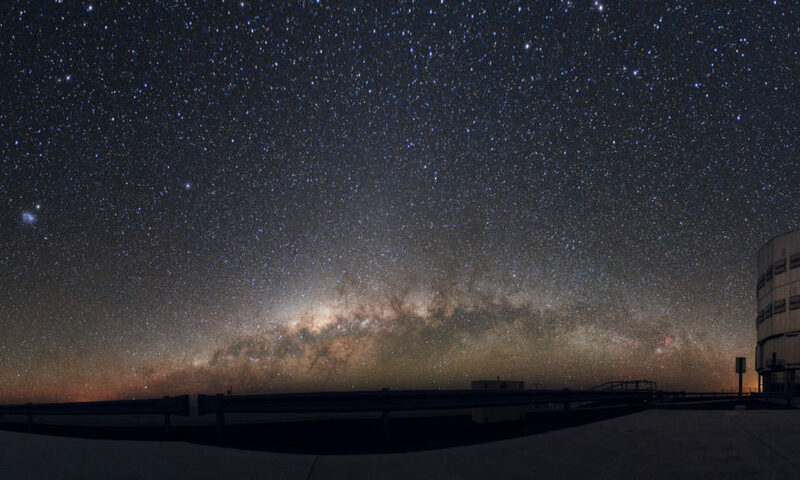 Established in 1969, the Chilean site has long been witness to star and planet gazing, as well as being the site of discoveries such as that of Supernova 1987A and more recently understanding gravitational wave sources. Owned by the Carnegie Institution for Science, the Las Campanas Observatory location makes up part of the 100,000 square kilometres Atacama Desert, in fact, considered the driest desert in the world. Since its opening over 50 years ago, the site has become a leading astronomy hotspot due to a perfect mix of conditions such as dark skies and stable airflow, and joins other spectacular sites such as the Atacama Large Millimeter/sub-millimeter Array which is a collaboration of American, European and Asian technologies in the form of 66 radio telescopes. Predicted to weigh a total of 1,600 tonnes, work had also begun on the telescope’s mirror segments of which a number have already been cast at a University in Arizona. It is another section of the vast project that reflects the phenomenal size, cost and ultimate scope of the telescope project. According to Wired, it took six years and nearly $20 million to create just one super-sized mirror, and it is certainly not a simple process to produce. The construction requires a furnace of over 2,100 degrees Fahrenheit, liquid glass, honeycomb-shaped spaces and three months for the furnace to even cool down to room temperature, the report claims.